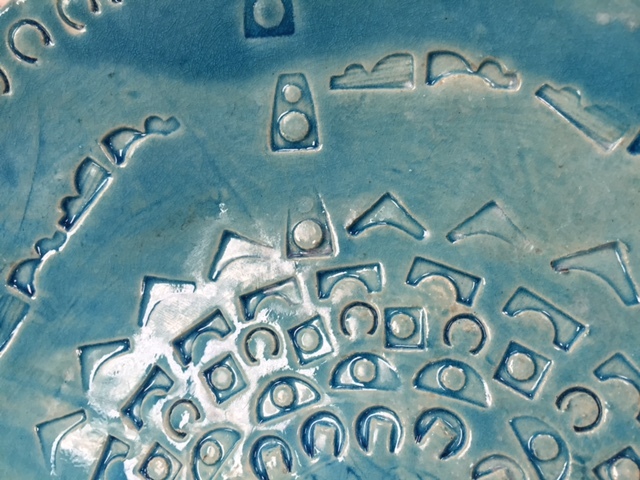 Workshop 305 is now running taster sessions - this pottery and mosaic workshop in Wimbledon offers you a range of experiences from throwing on the wheel to creating unique mosaics. You may book one or two taster sessions, one for making and then a follow up if you wish to decorate and glaze your piece! Previous participants have created a diverse range of items, mosaic table tops, door numbers, sink splashbacks, plates, bowls and vases! This workshop is very hands on with loads of tips for first timers so come along and get stuck in. Please note: You can only join the taster session if you have not previously been to a Workshop 305 workshop before! The best 4 pieces of work that you create are yours to take home. Very informative and personalised session, tutor was patient and helpful, warm and positive learning environment, would highly recommend. Had so much fun glazing the pots I made last week. Didn't get to do mosaic - maybe next year! A great afternoon! Everyone was super friendly and helpful, although it's in a bit of an awkward location I'd definitely recommend to anyone looking to have a fun afternoon getting your hands dirty! I bought this workshop as a birthday gift for my mother. She didn’t think she would be any good at it and therefore was very apprehensive about the session. She was pleasently surprised and we both enjoyed everything from start to finish. Our tutor Emily was so patient and helpful. Needless to say we will be back for more. Great class, lets you try several different techniques and the instructors are so friendly and helpful! Can't wait for the next! Really enjoyed the session - it felt like a nice balance of being able to try different things with the clay, plus between being supported by the staff and left to your own devices. Lovely friendly staff, very welcoming. The venue was easy to find and very interesting to look around all the good work they do there. I bought the taster session as a present for my partner and wasn't expecting to enjoy it so much myself, we are now going to book the next session to glaze the bits we made on the evening. Really good workshop that gave a great introduction to ceramics- had a go at hand building and throwing. Staff were very nice and very helpful - definitely would recommend! Having never made pottery before we didn’t know what to expect, the team in Wimbledon made us all very welcome and explained what we could do , taking the time to help /guide us with our pieces. Would of liked more time to use the wheel , but it just means we will have to go back . Lovely! I had a really relaxing and creative time. All the staff are really friendly and helpful. Facilities and equipment were just right and tea and biscuits, a very welcome extra! My wife and I both really enjoyed it. It was a friendly and relaxed environment. The teachers gave you guidance and some space to experiment. Their enthusiasm and love of clay was apparent and it made us enjoy it even more. Thank you. I really enjoyed it. Everyone was friendly and helpful. Awesome pottery session. Extremely helpful team, fabulous materials and equipment. Wholly recommend. Very creative , inspiring and relaxed atmosphere, friendly people.The only reason I am giving 4 stars is because of the location-industrial zone, it was a bit scary in the darkness to get there.And one tip-have an idea what do you want to create, at least kind of idea. After all WORTH IT! Absolutely brilliant time with obby. 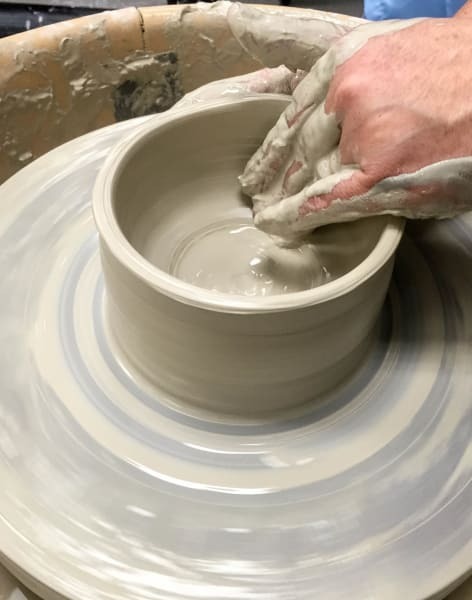 Myself and my wife decided to try out some pottery and it was fantastic, really got stuck in, got to try wheel throwing and even managed to do some moulds. Really impressed and happy to go again any time. We had a great time getting to know the different techniques in pottery. The staff was super friendly and made us feel relaxed. Nice spacious and homely workshop. Very friendly staff! Another great session where we did the glazing of our small pots from the first session. It would have been even better if we had been given a few samples beforehand as example to get some ideas on different ways how to glaze. Overall, really enjoyed the relaxed atmosphere and it was real fun! Will be signing up for the pottery course! This was a great session! The atmosphere is very relaxed and friendly and we were given the opportunity to try lots of techniques. 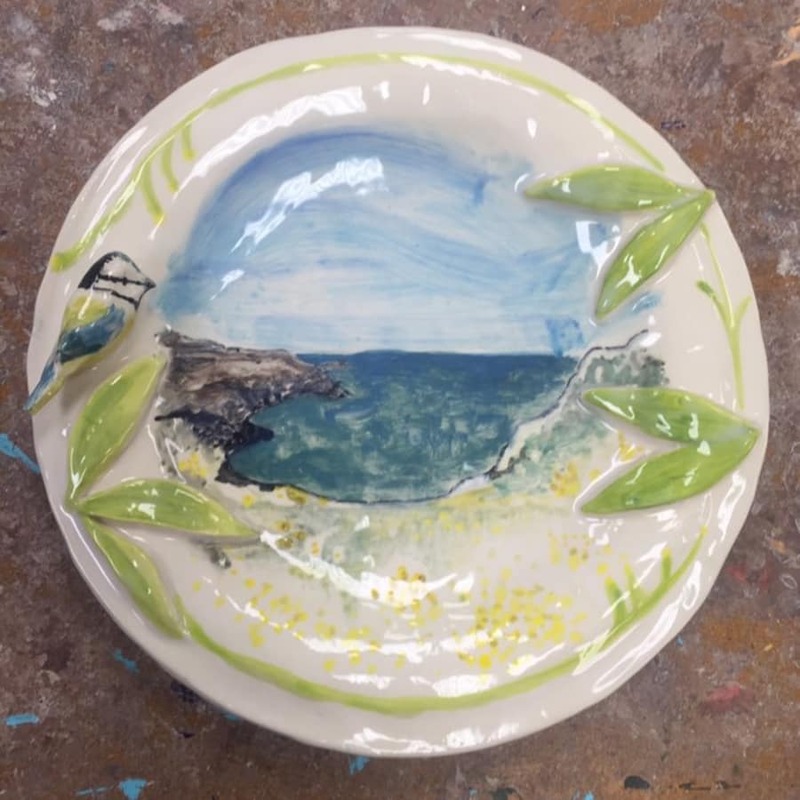 It’s a great way to try out pottery and mosaic to see if you want to sign up for a full course! The mosaic taster was so interesting that I shall be joining hopefully the last three weeks of the course. There are many interesting projects to begin and there are piles of mosaics and tiles to make your imagination go wild! Having already had a taster session for Pottery I was able to find my fired work and get it glazed. What a friendly place to have a go and the tutors are very helpful. Loved this taster session. Pottery is lots of fun & the team are all so friendly. 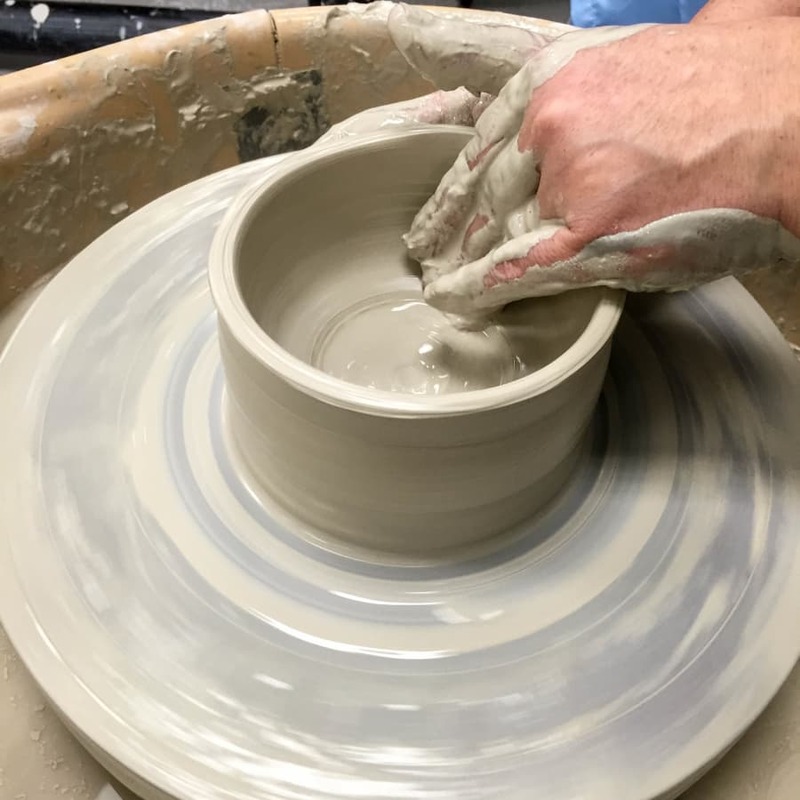 If you would like to try the potters wheel then book this taster session today! Thank you! Great fun, Glad I have learned Pottery, Cannot wait to be back! Lovely places, lovely staff. They were so helpful and let us be as creative as we wanted. Definitely going back! My fiancee thoroughly enjoyed her evening, Mike was a great teacher and the environment was lovely too. Had a great time everyone was friendly and very helpful, there was plenty of parking and learnt a new skill. Completed a pottery taster session with my partner. Both loved it. It was great fun and would defo recommend to others. Made vases, box and a dish. Thoroughly enjoyable Pottery session. Patient attentive staff ...and a lovely friendly chilled atmosphere. Would highly recommend ! A blooming lovely way to spend an evening. Plenty of time to try different techniques. Everyone was really friendly too. Very helpful and informative staff, and a very enjoyable evening for two complete beginners to pottery. Both my partner and I had a fabulous time. A really knowledgeable team, who had both patience and skill in a lovely working environment with pottery and art on display, some of which could even be purchased. Highly recommend giving it a go! Lovely and engaging team. Loved the experience and I’m planing to go back for more fun! I recommend to book the glazing class together as they are both great experiences! This session was great, really informative, great teachers and really good fun! We were shown a number of different techniques and learnt how to use the potters wheel. The teachers were patient, very knowledgeable and friendly. I found the session very relaxing as it's in a very nice, calm environment. Thanks for a fantastic session trying pottery for the first time. Very knowledgeable teachers helped me with my very own bowl and tea light holders. Will be booking the glazing session and in the near future will sign up to a longer course to really learn the intricacies of pottery, especially the wheel. We came to the Pottery session on Weds 13 February and had a great time - and were even pleased with some of the pots we made! :) It was great fun, the teachers were really helpful and friendly, and we particularly enjoyed the opportunity to have a go on the wheel. Thank you! We learned how to hand make pottery, and throw a bowl! The teachers were all super friendly and helpful very approachable, and we had a great laugh. The venue was easy to get to, had lots of parking and the workshop was fully equipped anything we needed. I had a great time at this workshop! I was late arriving as I'd gotten a little lost on the way. I called up and spoke to Kerry, who was really lovely and offered to come and pick me up. I was a bit nervous at first as the class had already started but Saoirse made me feel very welcome and started filling me in on what I'd missed. I made 3 pieces and had a go at throwing clay on the wheel, which as great fun! It was such a fun evening, I can't wait to go back a do a glazing session. I would thoroughly recommend this place for anyone who likes to get creative and fancies trying out pottery! I will be recommending it to friends! The venue was wonderfully laid out displaying art for sale made by others who attend the venue. Easy parking. The teachers were lovely; patient and knowledgeable and made us feel welcomed. It was a birthday gift to me and we learnt a number of things during our two hour lesson including using the potters wheel. We enjoyed ourselves so much we booked onto the glazing class to decorate what we made. I highly recommend this course. I had a fantastic time - the teachers were wonderful and allowed me to be creative! Loved it, and would highly recommend the Pottery Taster Session. Absolutely loved the course, I’ve always wanted to try a pottery class so was delighted when I was given a gift voucher for Christmas and I wasn’t disappointed. The teachers are extremely helpful and very patience. Not only do you get the opportunity to create your own clay masterpieces you get to have a go on the pottery wheel, which I found very therapeutic. I can’t wait to go back and glaze my pieces. Thank you. I thought it was very well run and l enjoyed it. The teachers were helpful and informative. I learnt how to throw on the wheel which was great fun and also how to mould the clay into any shape! The teachers were AMAZING. Caroline (I think!) was so encouraging on the wheel and explained it in a way which made sense and the Irish lady (I'm not even going to attempt to spell her name) was excellent at showing how to use the moulds and make whatever shapes we wanted. She was also hilarious! The venue was lovely and spacious and loved all of the work that was displayed around the place, including the giant whale! The pottery taster session was excellent, both teachers were really friendly and informative and very patient with my novice pottery skills! The class was great fun and the workshop was really creative and inspiring. Thank you! The class was absolutely great, both the teachers were really friendly and super helpful. It was an incredibly enjoyable evening and really interesting to learn about the different methods of making pottery, both freehand and the techniques on the wheel too. All in all a really fantastic experience - would definitely recommend! Great class, very relaxed and not too structured (in the best possible way)! Thanks again! The teachers were so lovely and helpful. I learnt how to use a pottery wheel and produce a bowl that actually looked like a bowl! I really liked the demonstration that was given for how to use the pottery wheel, it made it much easier to then have a play. I would highly recommend. The teachers were really friendly and helpful. I learnt how to use a pottery wheel and some techniques to create different shaped pots. It was great fun, really enjoyable and relaxing after a busy day at work! Fantastic workshop, time flew by! Teachers were both fantastic and let you get hands on with everything, was lots of fun! The location is a little out of the way, but don't let that put you off! Thoroughly enjoyed the workshop, the tutors were really friendly and approachable, full of good ideas and support. Looking forward to going back to put the finishing glaze on! Great class - fantastic teachers. Can't wait to go back! Brilliant class - loved it! Venue was perfect, plenty of space & equipment, a fourth wheel would of meant more time to experiment. Both teachers were very patient & helped without being condescending.We learnt how to create & had fun .only criticism is a schedule for a shared amount of time on the wheel would be a good idea. A social enterprise based in Wimbledon offering pottery, mosaics & print making at evening and weekend workshops. Workshop 305 have created a relaxed studio atmosphere with a spacious ground floor that is divided into 2 large studios with a kiln room as well as a kitchen/dining area. The fully accessible building allows access for everyone. Day to day, the workshop has classes for students with disabilities but also runs evening workshops in pottery, mosaics and print making for both adults and children with all abilities. Our evening and weekend workshops, team building days and specialist workshops all support the work that we do. The nearest tube station is Wimbledon Park. The nearest train stations are Haydon’s Road and Earlsfield.